Like an ugly game of hide and seek, I’ve been dodging the dingy alleyways of the internet tonight. I am scared of coming face-to-face with the live footage of today’s terrorist attacks at two New Zealand mosques. I don’t want to see the suffering, to hear the screams, or to witness the ensuing, inevitable silence. Following a mass shooting anywhere in the world, the global outpour of grief is instantaneous and infectious. Twitter will light up like a Christmas tree and Facebook and Instagram profiles will go dark in solidarity. But for Muslims, particularly those of us already mentally confined by the invisible shackles of unchecked Islamophobia that remains rampant in the West, our grief comes accompanied with an equally immediate and visceral knee-jerk reaction, a silent plea we make to ourselves and those we most trust. “Please don’t let this nut job be a so-called Muslim,” we say to each other. “Please don’t let yet another lunatic make it harder on all of us”, we secretly pray. Yet, harder is what it has and continues to become. I travelled last year from Washington DC to Pakistan and then Saudi Arabia for Umrah, and the entire travel was one circle or another of Dante’s many circles of hell. I can no longer check-in online for flights. Like clockwork, I am pulled to the side for secondary screening. Almost always, I get my luggage back with a bright pink TSA tag telling me they went through my things and yes, my box of sanitary napkins and all 15 pairs of standard black Hanes underwear checked out okay. Of course, it is no longer fresh news to any of us that anti-Muslim sentiment has spiked greatly since 9/11. But what still goes greatly under-reported is the recent and shocking spike in anti-mosque activities around the world. Personally, I vividly recall when things got really real, when the spectre of a possible terrorist attack taking place at a mosque first became part of my lived reality. It was in 2017, following a mass shooting in Quebec, Canada (a country I called home), when I first realised that despite what international law would have us believe, mosques were no longer ‘safe’ sanctuaries. Similar to the present, I remember us Canadian-Muslims waiting for global media and world leaders to use the right words to describe the hell Muslims of Quebec had just gone through. And while Prime Minister Justin Trudeau and other officials did describe the gunman as a ‘terrorist’, ultimately, legalese won the day and the Canadian government chose not to charge him as one. Frankly, it’s just too much work to clear the confusion that a Muslim, much like Agrabah, is not an actual place. Despite most of us now being immune to acts of low-level bigotry and even low-level criminal activity, on a more serious and sinister note, I think western communities will never truly be the same. There is in all of us a pervasive, unspoken fear; an electric current that affects everything, from the way we tweet to the way we dress to – increasingly – the places we pray. For me, this fear really punches its way to the fore of my frontal cortex on Fridays for some reason. Frequently, my husband will decide he’s going to skip praying at the small makeshift mosque at the hospital he works, choosing instead to pray at one of the larger jummah gatherings in Washington DC. Instantly, I am left with a bundle of nervous energy. Either I’m finding ways for him to not go, or I am refreshing Google News if he’s even a little slow to respond to texts post-prayer. The fear again punches through my frontal cortex in what should be moments of personal calm and beauty. Most recently, I felt it at a nikkah ceremony in Alabama. Surrounded by all my loved ones at a fancy, prominent mosque, my subconscious began to stealthily make me sweat; reminding me of the many ways in which us Muslims (and people of colour in general) will always be moving targets for some in the deep American South. It would be selfish and misguided of me to claim this fear as my own. It’s not only Muslims and mosques under attack today; mass shootings at houses of worship have spiked everywhere. And this is something the entire world must come together to really reflect upon and truly lament, for in these increasingly divided times, I cannot think of a loss greater than having to give up the connectedness that comes with praying as part of a congregation, of praying in unison. Our mosques, synagogues, churches are no longer ‘safe’. Some would say it’s a shame that the world we are gifting to our children is one of metal detectors and security shakedowns at the sacred doors of our most holy spaces. For me, I can’t decide which is sadder: that such security measures are now needed in the first place, or that frankly, these measures are the only things that bring me relief when I am in a mosque nowadays. Just last year, as I visited Istanbul’s many prominent mosques, I felt an absolute freedom and tranquility inside a mosque for the first time in years. With all the fibres of my being alert to where I was and what I was doing, I was able to bow my head down with an unfiltered focus and an undivided attention before God. Knowing that all those entering with me had been properly vetted by police is what gave me this freedom and tranquility. Unfortunately, these feelings did not follow me back to the US. As I write this, it is early Friday morning in America. Despite my usual, underhanded attempts to have him pray at home, my husband will head to jummah at a large public gathering in a few hours. Normally, this thought would have my heart racing a little faster. But tonight, my heart is in New Zealand. Tonight my mind is on brotherhood. I may be getting ready for jummah in America, but I am thinking of the brave souls in New Zealand who, just hours ago, laid down their lives over this very basic human right – the right to worship freely. I’m thinking about those who survived, and those who, I hope, will one day find the courage to rebuild their lives and restore their faith, not just in Islam but in humanity, and will walk back through the very doors where their friends and family members had been brutally slaughtered. 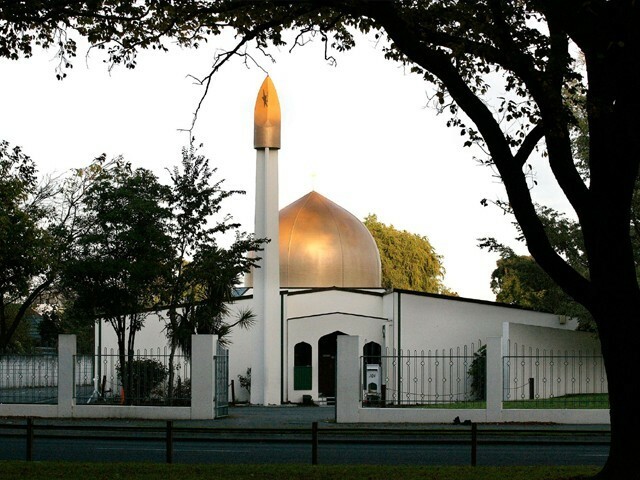 As I think of the grief that surely grips New Zealand today, I find myself wanting nothing more than to lay my head down on a plush carpet, surrounded by the soothing sounds of the muezzin at my local American mosque. And to just pray, freely, and without fear.